With public libraries closing down and books becoming more expensive, children from backward classes find it harder to read. At the Ramditti J R Narang Deepalaya Learning Center, a sunlit building full of books, it is easy to recount the joy one felt when one first began to fall in love with reading. At 3 pm every day, streams of children flood out of the building’s gates. Even though it is closing time, a few linger hopefully, longing for a little more time spent lost between the pages of a book. Writer Mridula Koshy, curator of Deepalaya, is firm but gentle when she tells them to return at a time scheduled for kahaani, the centre’s reading sessions. 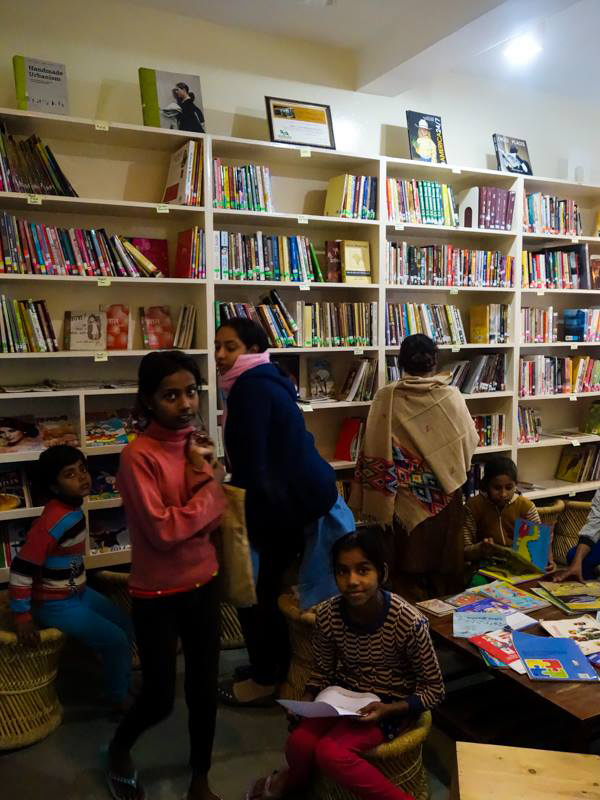 The library is set in the dense neighbourhood of Sheikh Sarai in South Delhi, close to Jagdamba Basti – home to a community of waste-pickers. Most of the library’s members are from the Basti. According to Koshy, while several children from the community do go to school, the quality of education they receive there is inadequate. Like most public schools in the country, teachers are scarce, frequently absent or uninterested in students, the curriculum is confused and reading outside school rarely encouraged. Given the dwindling number of public libraries, combined with the inflated rates at which books are sold at most commercial bookstores, it is nearly impossible for children from lower-income families to find the means to read. Community libraries bring reading and literature to areas where books are hard to come by. At a time when rote learning, securing high marks and a career-centred approach to education are encouraged, these libraries provide a space for children to think, question and evolve. At Banashankari in Bengaluru, a new library called Buguri is modelled after Deepalaya. 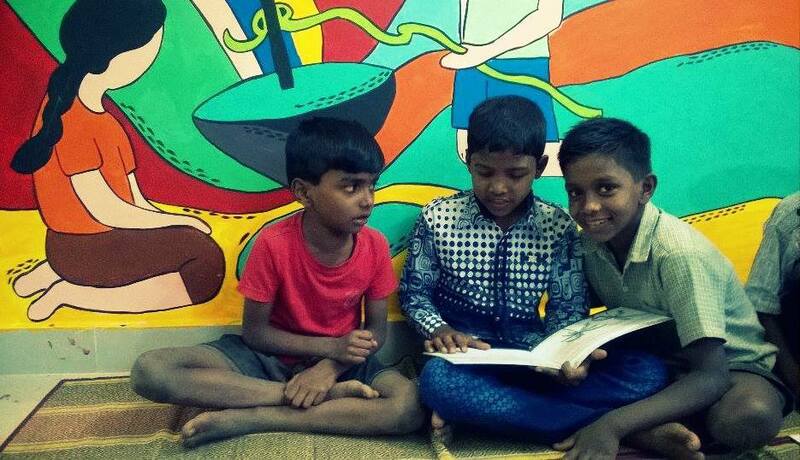 The library was started by the non-profit Hasiru Dala, which works with more than 10,000 waste-pickers. The library, which opened on January 27, received an overwhelming response. The dynamic of Banashankari is diverse, with families from distinct regional and religious backgrounds. Buguri stocks books in Urdu, Kannada and Tamil. At the library, children read and listen to stories in all three languages. Unlike Koshy, Karunakaram is apprehensive about the way things will unfold, but in both libraries, the families of members have been very supportive. 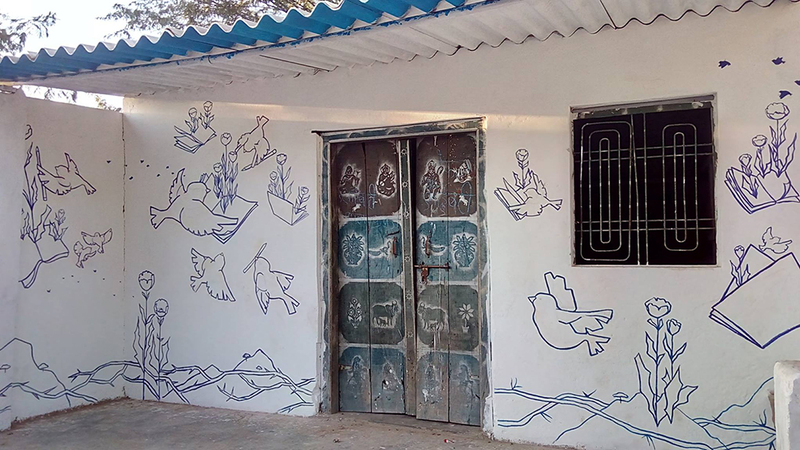 At Bhilwara district in Rajasthan, where the community has long been victim to saffron terror and a lack of civic amenities and illiteracy, the community library is a place of refuge. The Dhapara community library here was set up by the School for Democracy, Loktantrashala. In Bhilwara, the members of the library come from homes where alcoholism is rampant. “The books take me far away from here,” said 12-year-old Saroj Kumari, one of Dhapara’s first members. 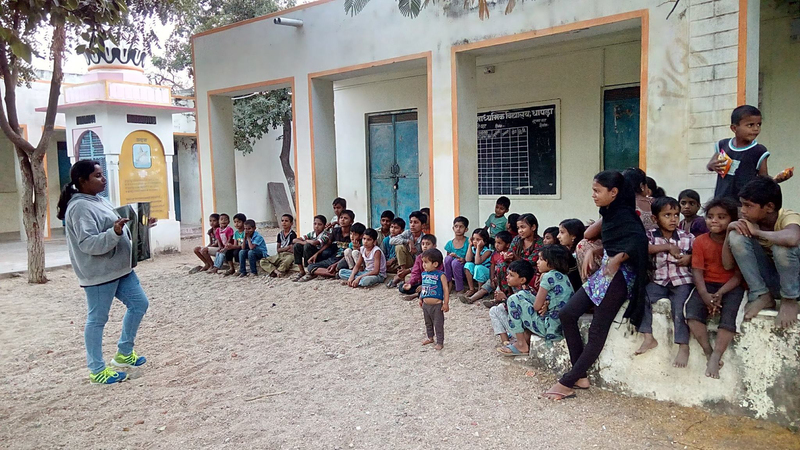 Though most of the library members are enrolled in government schools in and around Dhapara, poor attendance of both the students and teachers ensures that learning doesn’t always happen. 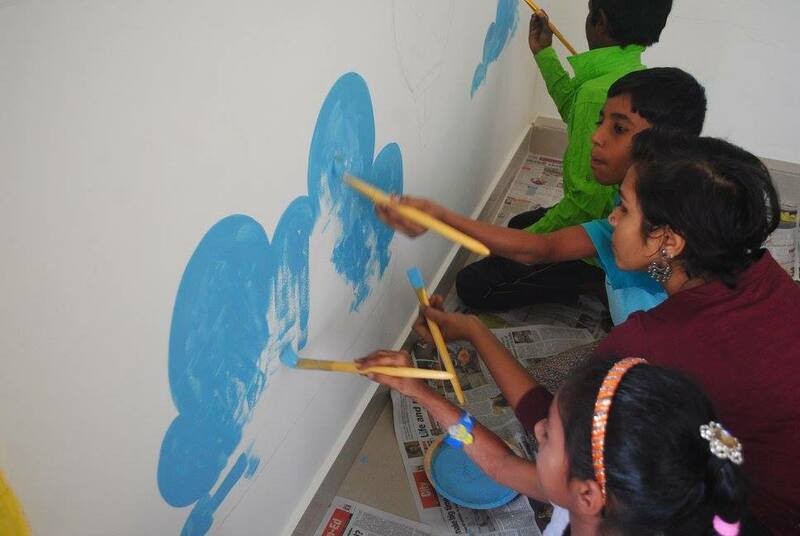 A non-formal learning space, the Dhapara library, like the School for Democracy, is dedicated to teaching its members about their own agency in the world. One of Dhapara’s main aims is to help children gain political literacy. Though it is still early to tell the effects, the response from villagers in Bhilwara, according to Manohar, has been overwhelming. In Bhilwara, the library becomes an an act of political inclusion, a space in which human beings become thinkers, and literature, in its purest form, becomes a tool for rebellion. The members of Deepalaya’s community library – more than 1,400 in number – range from four-year-olds to adults of all ages. On a weekly basis, approximately 350 to 400 members visit the library and borrow between 900 and 1,000 books. The daily functioning of the library is looked after by volunteers from outside the community and a student council composed of teenagers. Deepalaya stocks books of every sort: there are books on social media like Facebook – social media ka chamatkaar and others that talk about domestic and sexual abuse. For younger children, there is a wide selection by Indian publishers like Pratham, Tulika and Zubaan but also the Kajari Gaay books, a translation of the Mamma Mu collection from Sweden. Programmes like Headstart, a reading session for four- to six-year-olds with guest authors like Urvashi Butalia, are attended by droves of excited members. Like all libraries, there is a great degree of precision in the way the books are organised, bought and issued but at the same time, the ethos is designed largely towards comfort and joy. 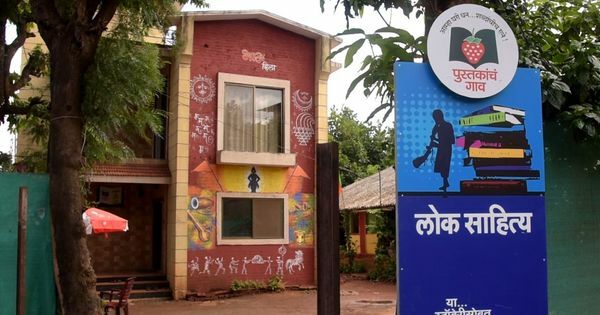 Maharashtra’s books village seems like a good idea – but what do its residents think of the project?